on US Bank’s secure website. US Bank Secured Business Credit Card is a credit card that allows small business owners to start building or rebuilding credit. It offers a low annual fee and low APR that help establish a business’s credit history. We compiled US Bank Secured Business Credit Card user reviews from around the web and determined that they generally have a mix of positive and negative reviews. We also discussed the rates and fees it offers. People who left a positive review of US Bank Secured Business Credit Card said that it is a good card to use to build or rebuild credit because of its low annual fee and reasonable interest rates. Users also said they are happy with the features that come with it such as zero fraud liability, online banking, auto rental insurance, among others. People who left a negative review of the US Bank Secured Business Credit Card said that they are unhappy that there is no rewards program that comes with the card. As a contrast to what some positive reviews say, some people said that they feel that the fees that come along with the card do not make the card the best option for a secured credit card. 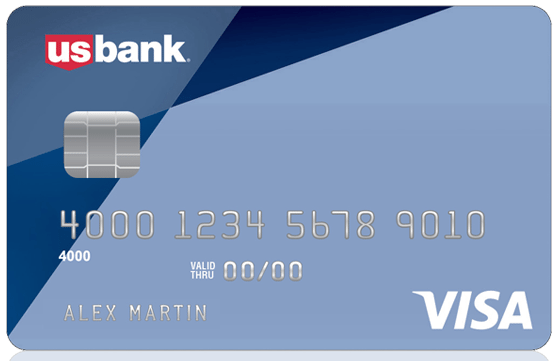 A positive review of the US Bank Secured Business Credit Card said that the annual fee and interest rates that come with the card make it a good secured credit card. A negative review of the US Bank Secured Business Credit Card said that the lack of a rewards program is a big deal breaker for them since it would be helpful for their business to earn rewards from their purchases while building credit. There is no rewards program that comes with the US Bank Secured Business Card because it is meant to help business owners build their credit score. Get zero fraud liability in the event that your card is lost or stolen. A fraud protection feature is designed to notify you of suspicious card activity to help prevent fraud. An auto rental insurance comes with the card at no extra cost when you charge your entire car rental with your US Bank Secured Business Credit Card. An online banking feature is included so you can view your current statements, download your card history, check your balance, among other online banking options. You may also pay your bills online with a feature that will let you automatically pay your bill so that no late payment fees will be incurred.